While it’s no doubt that hunting takes a certain amount of natural skill and determination; the right equipment is of equal importance. Day and night hunters alike rely on advanced technology to act as an extra set of eyes & ears in the field. Hunting is more than just being in the right place at the right time. Successfully taking down a target means all your equipment must work together. From your rifle to your selection of scopes. The hunting niche is constantly growing in popularity. As a result, so is the availability of accessories that can be used to enhance your personal experience. Thermal scopes that clip onto your rifle take your hunting game to the next level. We just love these feature packed scopes brought to us by the leaders in the industry. We took the time to take a closer look at some of the best clip-on thermal scopes on the market right now. Using this guide you’ll be able to compare and select the best one for you. Night hunting is a popular activity across most of the United States. A thermal scope is used by hunters to gain enhanced vision while hunting at night. Thermal scopes use infrared sensors to capture the heat omitted by all objects in your scope’s range. They deliver this captured heat energy as reflected imagery back into the hunter’s eye piece. 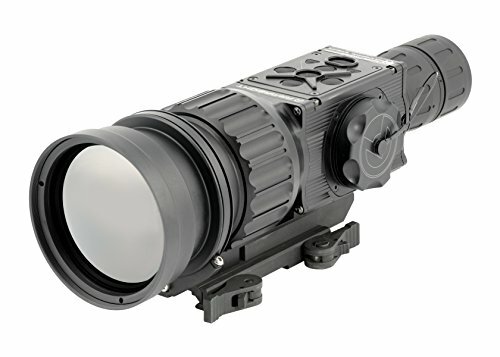 Thermal scopes are used for night hunting and can also be used during the day unlike night vision scopes. They are your eyes in the dark. A traditional day scope is used during daylight to more easily take down your targets from a distance. Day scopes are purely lens and magnifier based unlike thermal scopes that use sensors & light detectors. A day scope cannot help a hunter at night. 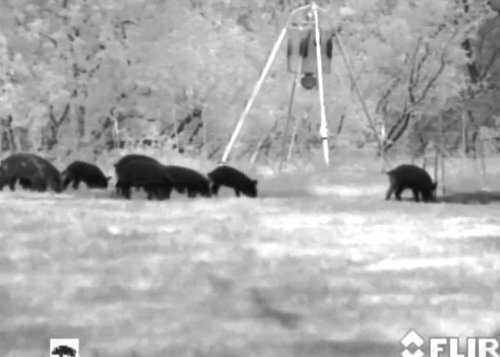 This is why clip-on thermal scopes are necessary when hunting at night. Thermal clip-on scopes typically clip onto your rifle and sit directly in front of the hunter’s daylight scope. The device makes use of the high magnification of the daylight scope to extend its own viewing range. They essentially work together. Depending on the quality of the screen and the depth of zoom, imagery may become blurry should a higher magnification daylight scope be used. You will still, however, be able to shoot much longer distances by using a thermal clip-on scope..
A thermal clip-on scope can also be used on its own, simply attached to the riffle. Its distance ability will be less without the day scope but will you will still be able to see your targets in the dark. Thermal clip-on scopes are usually lightweight and non-bulky. They clip easily onto your rifle and won’t add much weight. These scopes are helpful in almost any hunting scenario. Here’s what you’re missing out on! There are many advantages of investing in a clip-on thermal scope. First and foremost is the convenience factor. They’re lightweight and won’t bog you down during long hunting trips. Hunters that spend multiple days and nights out in the field need to be mindful of how much weight they bring along. A clip-on thermal scope eliminates the need to change or re-zero your day scope when you switch between day and night hunting. Most clip-on scopes available on the market have the ability to keep your day scope’s zero. Unlike individual thermal scopes, clip-on one's work in unison with your day scope magnifier to extend their scope range. Using a clip-on thermal scope frees your hands from having to switch between your rifle and thermal monocular to locate or track your target. You are free to concentrate on your shot instead of juggling between equipment. Perhaps the most important benefit of using a clip-on scope is the extra layer of safety it provides the hunter when out in the field. As darkness descends, and terrain is unknown, there are many dangerous elements that can come into play. 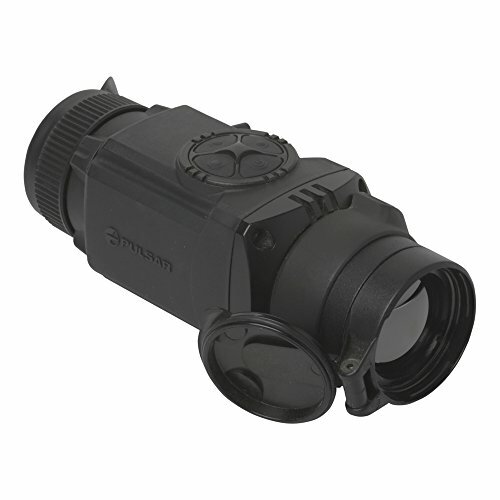 A clip-on scope provides consistent, quality night vision. It decreases the risk of any danger or creature sneaking up on you while your scope was out of reach. A bonus feature is that most clip-on thermal scopes can also act as a thermal monocular which standalone thermal scopes cannot do. This two-in-one feature makes the imaging technology far more versatile than ever before. While night hunting, there really is no need to switch between your thermal scope and monocular. Using your rifle with its thermal scope to spot can be tiring if you are not used to doing it however it does help ensure you don’t miss your target after you have spotted it. This can happen when having to switch between a thermal monocular and back to your rifle. While the advantages of these nifty devices are vast there are still a few points we’d encourage you to keep in mind while trying to find the best one for you. When looking at clip-on scope options, consider your own rifle’s mounting system. Make sure the thermal scope you’re looking at investing in is compatible with your gun’s mount/rail system. Incompatible scopes may require the additional purchase of an adapter to successfully clip onto your rifle. Quality matters. A high-resolution display-screen is important if you plan on using your day scope in conjunction with a thermal clip-on. Zooming further than around 4x on your day magnifier can create blurred imagery on your thermal screen display which will distort what you see making it harder to take your shot. Purchasing a unit with higher resolution will take care of these issues, but at a higher price. If you intend to use your day scope and thermal scope simultaneously there’s a chance your day scope’s zero could be slightly thrown off. Keep this in mind and be sure to re-zero the scope before each use. This is imperative to ensuring your aiming accuracy. Determine your personal preferences around each of these factors and pick the scope that provides what’s needed. What rates highest on your priority list? This is one of the most compact and lightweight clip-on thermal scopes out there. The Pulsar Core is a simple solution to thermal imaging by a well-known and trusted brand. It doubles in function as a monocular. The body is compact minimizing the disturbance of the natural balance of your riffle. Both the body and battery pack of the scope are fully waterproof. You won’t be left blind in the event of a downpour or frost. The display screen incorporates green hues. This color scheme reduces strain on the eye and decreases the risk of fatigue over lengthy periods of use. The external power supply is easy to recharge using any USB adapter. This means you’ll be able to charge it using the common wall socket or a portable power pack. This Pulsar is fully capable of working with almost all conventional day scopes. The Pulsar Core is an impressive unit especially considering its affordability. It is the perfect scope for a beginner in night hunting or anyone looking to experiment with this kind of digital imagery. This high-end creation by Trijicon is a night hunter’s dream. First, we must mention the sleek, matte black exterior of the Snipe IR’s body. This thermal scope can make even the most inexperienced hunter look like a field professional. It’s designed to clip to the top of your rifle, just in front of your daylight scope. The Snipe is an advanced solution to 24 hour hunting excursions. The resolution is high enough for there to be little to no discrepancy in imagery regardless of how much you need to zoom in. The image quality has to be seen to be believed on this military grade thermal clip-on. 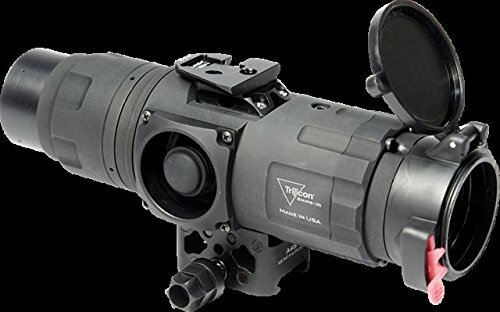 The Snipe-IR also has the ability to be used on its own as a standalone thermal scope without the help of a daylight scope. Impressively, it can also standalone as a thermal monocular. The Snipe-IR is our pick for best premium clip-on thermal scope. We just love its versatility. You’ll be able to jump between uses as the hunting experience unfolds and never be left in the dark. When it comes to thermal scopes FLIR is a favorite, time and time again. All of the brand’s products come with impressive warranty periods and the FLIR Apollo Pro is no different. This scope takes the win for the best long-range clip-on thermal scope. It’s rare to see a thermal scope with this kind of range capability excel in performance simultaneously. What makes the Armasight so unique is that it connects to a mobile app to optimize performance. The scope is synched to valuable data such as a compass and live weather patterns. This is transmitted to the user for the duration of the hunt. Unlike other scopes, the Armasight has the ability for on board video recording while out in the field. An SD card imbedded in the device captures the visuals that can be watched later. The unit has many palette options for image viewing: White / Black / Sepia / Fusion / Rainbow / Rain. As you consider these product breakdowns, keep your own equipment needs in mind as well. 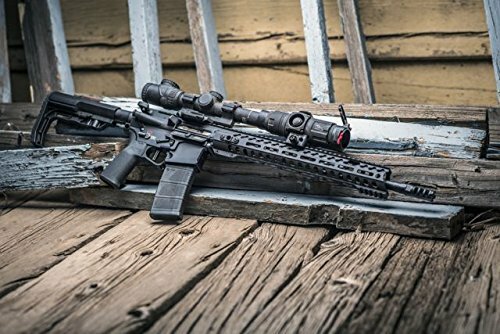 If you’re looking for an affordable scope that won’t break the bank but will still deliver the performance you need the Pulsar Core is the one for you. We love this brand and the affordable range of products it delivers. The military grade quality of the Trijicon Snipe-IR isn’t to be overlooked either. 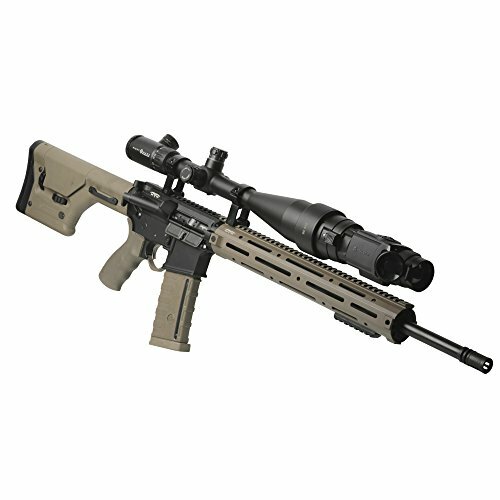 If you have the extra dollars to spend, this scope will withstand even the harshest conditions. It is a high-end device for the more serious night hunter. Those looking for long-range capability can’t go wrong with the Apollo - a favorite amongst beginner and professional hunters alike.